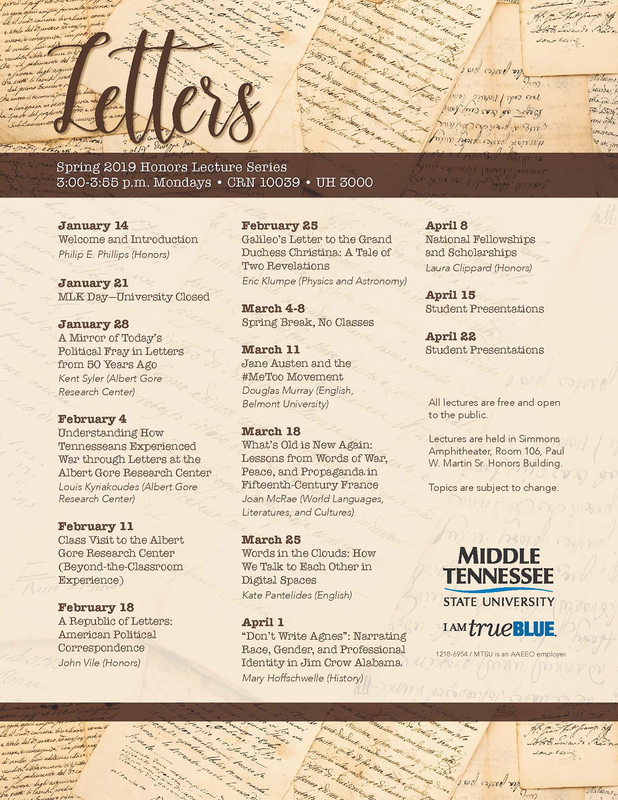 “Letters” is the theme for the spring 2019 Honors Lecture Series at MTSU, when guest speakers will provide primarily historical perspectives on correspondence, though one lecturer will touch on modern “words in the clouds” as society increasingly moves to communicating through digital spaces. A long-standing class for University Honors College students each spring and fall, the series began Monday, Jan. 28, and continues nine more weeks, concluding April 1. The lectures — held at 3 p.m. every Monday with the exceptions of Feb. 11 and March 4 — are open to the public in Room 106 of the Paul W. Martin Sr. Honors Building. Dr. Philip Phillips, Honors College associate dean, said he decided on the “Letters” theme after “a chance conversation” in the fall with Kent Syler, an MTSU political science professor and political commentator. Phillips said he recalled writing letters home from boarding school and also wrote postcards to friends and family while on trips abroad. Because Phillips wanted this spring 2019 lecture series, just like the fall 2018 event, to enhance academic engagement as an MT Engage class, he selected the Gore Center as an outside-the-classroom experience for Feb. 11. Phillips said the speakers, like the honors students, come from a variety of academic disciplines: political science, English, history, foreign languages/medieval studies, physics and astronomy, and rhetoric. Professor Douglas Murray from Belmont University’s English department will bring “Jane Austen and the #MeToo Movement” for the March 11 lecture. MTSU English professor Kate Pantelides goes 21st century with her March 25 “Words in the Clouds: How We Talk to Each Other in Digital Spaces” lecture. 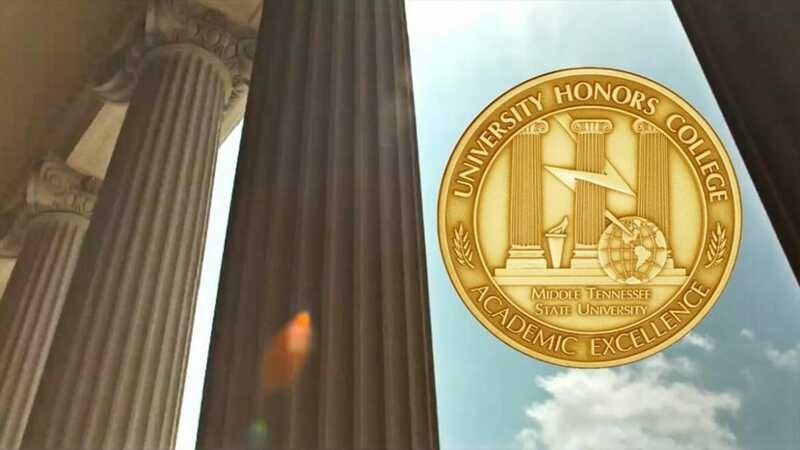 For details on the entire series, visit www.mtsu.edu/honors.